I am a Twitter user who has or manages six Twitter accounts. I use it quite a bit. Either watching the feed scroll by, tweeting and occasionally retweeting. While reading WashingtonPost.com recently I was stunned to see that by retweeting I am endorsing what is in that tweet. What? Are you kidding me? 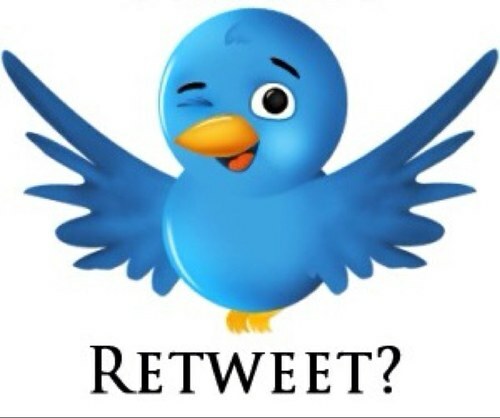 My retweets are mostly composed of informational sharing type of tweets such as news and products. Many times they are of the ‘can you believe this’ genre. If I am endorsing something, you will know it. I hate to break it to you, folks, but RTs are implied endorsements. There seems is a trend these days in not only social media, but also in business or just general conversation, for people to impute motives based upon what is not stated. Somehow those receiving the communication feel they have a right to add sentiments or content to the communication that is not there. More damaging is they will hold the originator of the communication to ‘content’ that was never stated. How frustrating is it being held to words you’ve never said or even thought about. Implied endorsement? Come on. I do agree people should be clear to include comments indicating displeasure or amazement when dealing with retweets that contain controversial information. However, don’t imply I am endorsing something when I am not. Conversely, don’t imply I am condemning something when I am not. Hold me to what I say. To do otherwise is intellectual fantasy. The reader has no right to imply anything, as what is left unsaid is at best, a grey area. Posted on May 14, 2013, in Life, media, New Media and tagged facebook, internet, Online Communities, ReTweet, social media, Social network, society, Sree Sreenivasan, technology, Tweeting, twitter, washington post. Bookmark the permalink. Leave a comment.